Literally means “Family Love” in Japanese, a place that focuses and emphasise on love and bonding with the family and friends. The interior is decorated in a modern sophisticated way, covered with the mysterious black, touched with elegant gold and warmth welcoming red. 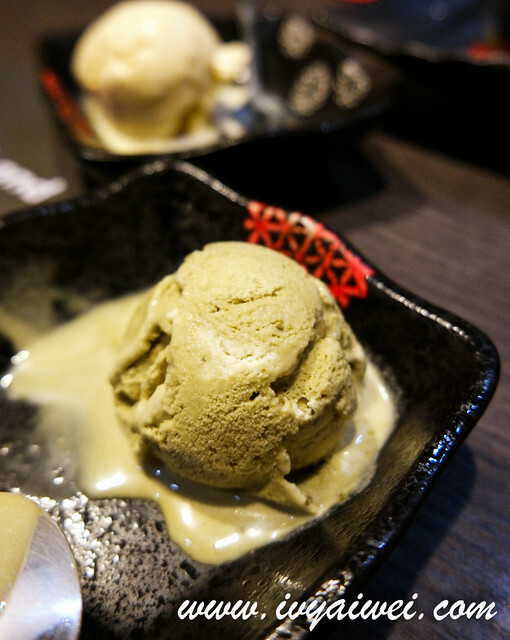 If you are here looking for the authentic Japanese cuisine and hoping to slurp up a variety of fresh sashimi, well… you are not at the right place. 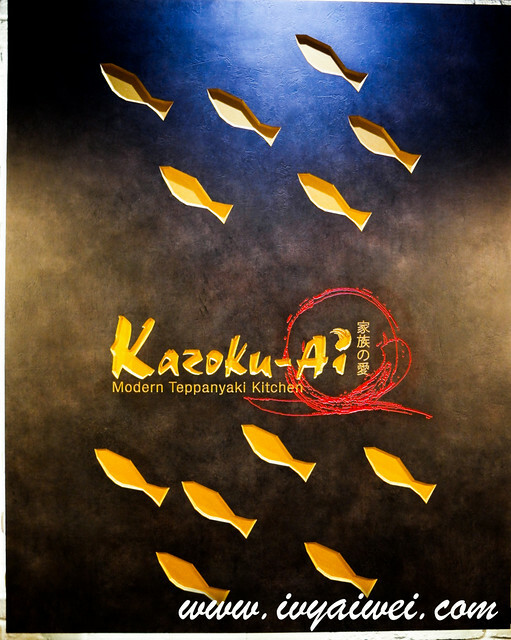 Kazoku-Ai is a teppanyaki restaurant that whips up teppanyaki dishes and twists them with contemporary style. Here, they serve only one type of sashimi, which is the salmon. 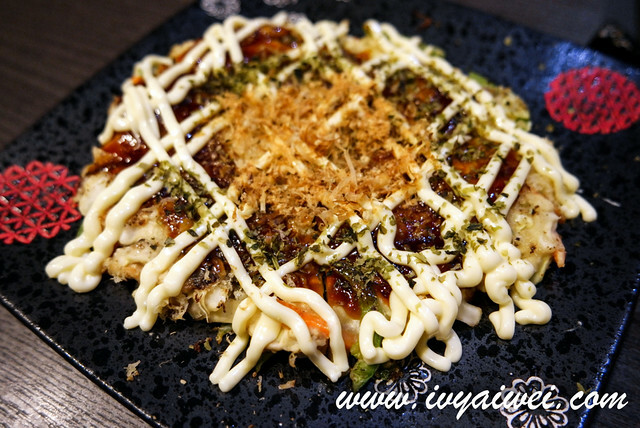 And here, they are famous for the Fire Crab and claimed it as the world’s first and only teppanyaki live crab using sake and making it burn with flames. Pre-reservation for the crab is needed for this dish and so we skipped. 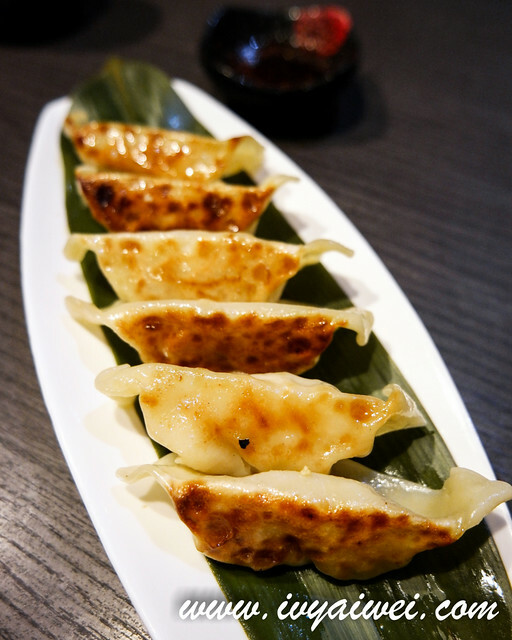 Pan fried Japanese shrimp dumplings with vinegar sauce. Juicy and plump gyoza was yum! Pan fried, grilled chicken thigh on a bed of potato salad. Must order if you are here! 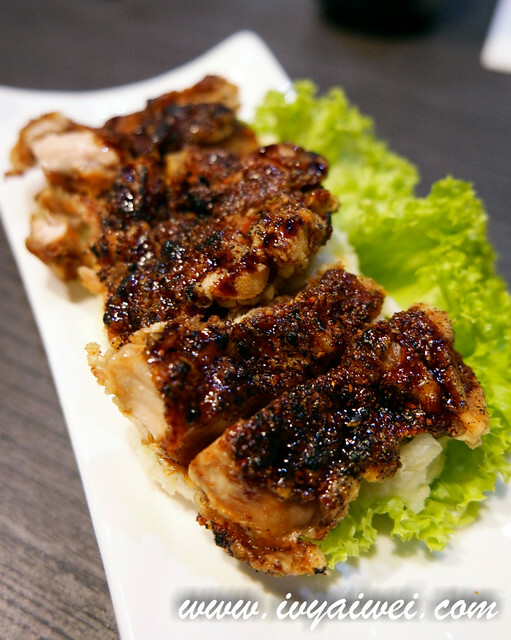 The chicken thigh was bursting with mega flavours; very well marinated, pan fried to golden brown with crispy skin. As it was very rich in flavour, pairing it with the fluffy potato salad that lay underneath the was very yum! 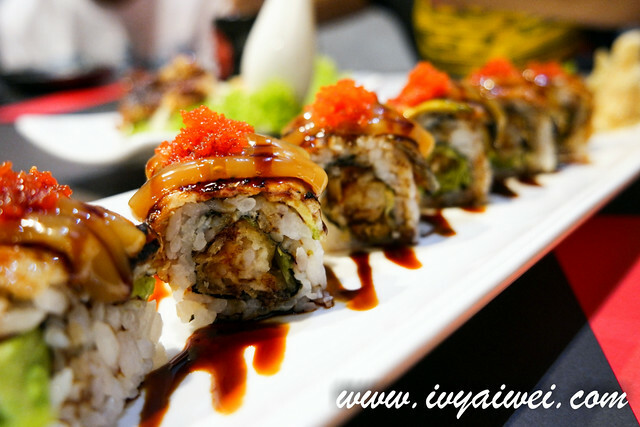 Rolled in with ingredients such as tiger prawn center, unagi, and avocado; topped with cashew nut sauce and ebikko. 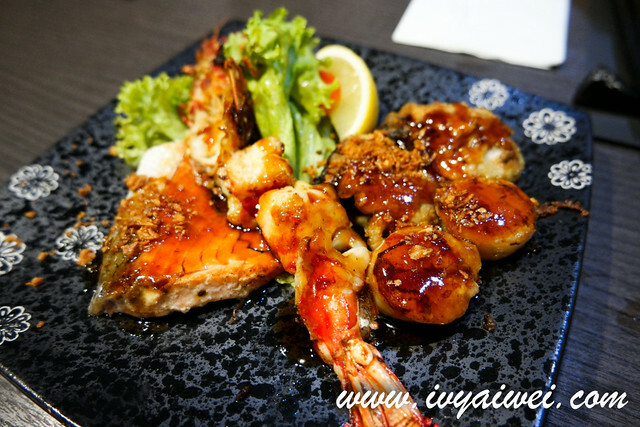 Combination of Hokkaido scallops, Japanese osyters, tiger king prawn and salmon; and made in the teppanyaki way. Very aromatic. 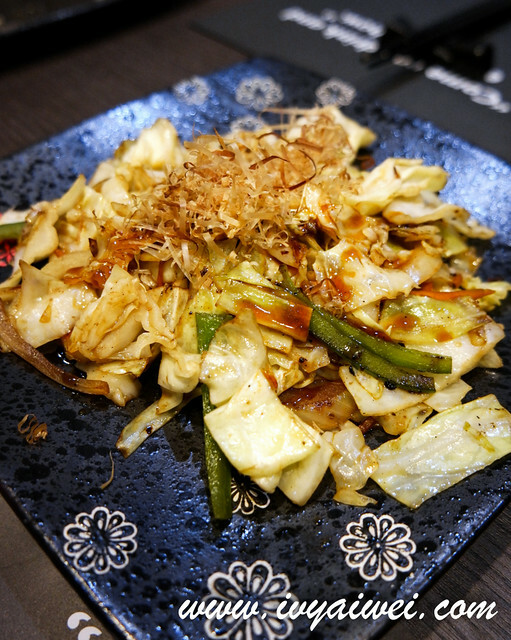 Teppan-ed vege did have that special aromatic scent. 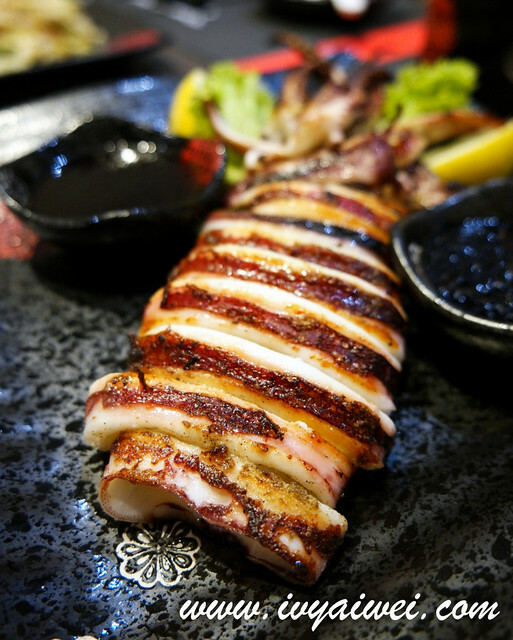 Super huge giant squid from Japan; grilled and served with special spicy sauce. I find it worth spending on the squid coz it was really very huge. Try the difference of flat bed cooking vs conventional wok fry cooking. 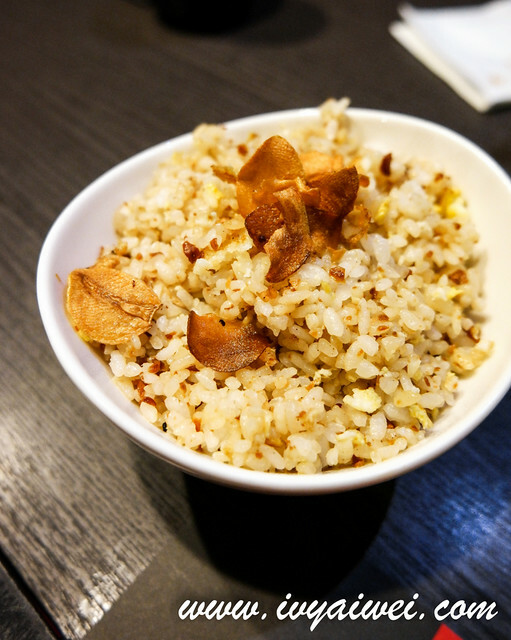 Garnished with fried garlic slices, every corner of the rice bits were infused with the garlic aroma. So good so heong (fragrant)! This is their top selling favourite! 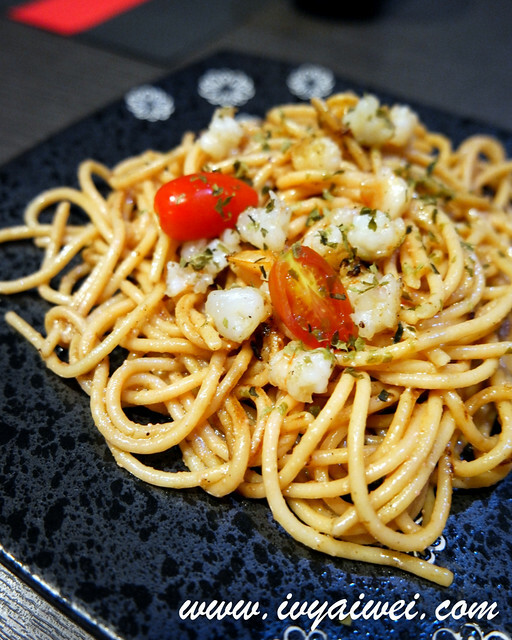 Spaghetti tossed in with fine cod fish roe before gently fried to perfection on the teppan. It was creamy and briny with the essence of sea, the umami-ness was unforgettable. Come to a Japanese place must have some sake. Honryu Karakuchi Junmai Daiginjo (Rm 302.1) was our pick. It has a masculine fragrance with a dry hint on the palate; rice polishing ration 50%. The booze here is pretty expensive. You can opt for their cheaper range which is their house pour sake or bring your own booze where they charge an amount on corkage.